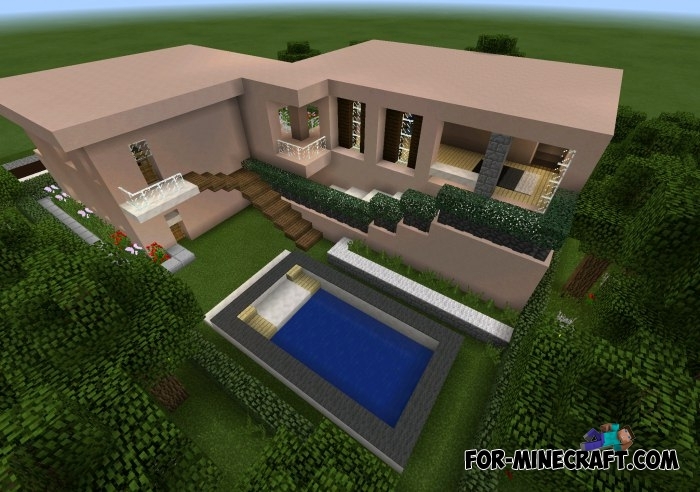 This map is made in a modern style, while the house has a small pool and planted trees. If you ever wanted to learn how to build in this style, then this map is a good helps you to realize these skills. The house is built in a modern style and is filled with the smallest details. 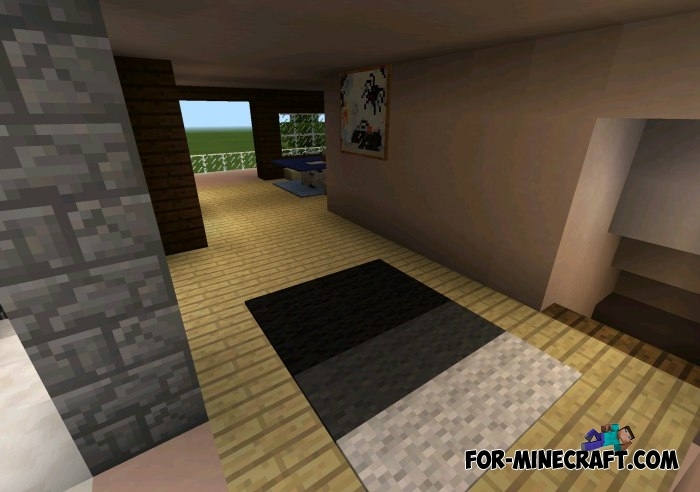 You can complement the house using a variety of redstone mechanisms.